Indeed, as I have repeatedly noted, the 9/11 Commission Report was largely based on a third-hand account of what tortured detainees said, with two of the three parties in the communication being government employees.The 9/11 Commission itself is complaining that the government lied to – and hid evidence from – the Commission. See this, this, this and this.Now that we know that the interrogators used torture techniques aimed at extracting false confessions, does the 9/11 Commission Report carry any weight whatsoever? In a groveling public display earlier this week, the Department of Defense announced plans to increase its public affairs efforts due to the devastating effect independent media is having on the Pentagon’s ability to control its news, more specifically, its ability to quash negative news stories before they go viral. On Thursday, the DoD bemoaned DrudgeReport.com and the fact that, because of citizen journalists, social media and other online platforms reporting news in real time, the public is more quickly becoming aware of the constant patterns of contradictions and habitual lying by a government long ago captured by a group of corrupt interests. Drudge Report quote around 14:00; Staff Sgt. Hostutler speaks near 27:30. “..we cannot hide our bad news stories. Bad news gets out one way or the other and we must come to terms with telling bad stories as well as the good,” the secretary of defense for public affairs, George Little, stated at the Defense Media Activity’s headquarters on Fort Meade in Maryland. “When bad things happen, the American people should hear it from us, not as a scoop on the Drudge Report,” Little said. When it came time for a brief question and answer segment, Staff Sgt Hostutler, a junior enlisted member of Air Force production, highlighted that many in her position feel that, as a result of recent spates of negative publicity, the American people are just not buying their stories anymore, making it difficult to execute positive spin effectively. “My question is: you mentioned that we need to start telling the story about the bad news as well as the good, and the issue I see that we’re facing… It seems like we have this culture in our career to kinda glaze over these issues and put out this positive press, and “No, our jets are fine,” and so with the good and the bad, I don’t think the American people actually trust us to deliver accurate information. On one hand, the government has revealed it is not invincible to the onslaught of curious, honest and hard-working journalists eager to obtain and report the truth. It shows just how vulnerable the man behind the curtain really is; in all his power, he’s upset over the few forms of media he can’t control. With Drudge continually pouring out their contradictions, the federal government is finding it harder to keep their stories straight and consistently gets caught off-guard. On the other hand, the DoD’s announcement that it will become more “engaged” with journalists is even more unsettling in light of the fact that just two weeks ago the CIA was given a green light to flood America with even more government propaganda. The fact that they’re openly announcing their intent to infiltrate the media means they’re ready to move forward with plans to squelch the First Amendment. Indeed, this is the opening salvo public announcement of open war on the power of the press. “This is a completely cynical move by the Pentagon,” Alex says. “They’ve been engaged forever in domestic psy-op operations, but now that they’ve been blown wide open by alternative media, we’re seeing the psy-op of cognitive infiltration. “The only huge website out there that you can call mainstream but also alternative that is really challenging the establishment is the Drudge Report, which should be considered a world treasure, along with all other alternative media. NSA scandal: Is the CIA involved with Ed Snowden? Everyone wants to see a hero. When that hero emerges from the shadows and says all the right things, and when he exposes a monolithic monster, he’s irresistible. However, that doesn’t automatically make him who he says he is. That doesn’t automatically exempt him from doubts. That stretches doubt far beyond the point of credulity. What is his mission? Is that mission his own, or is he working for someone who wants to punch a hole in the NSA? In another article, I’ve developed the hypothesis that Snowden is still actually operating for his former bosses at the CIA; people at the CIA, long engaged in a turf war with the NSA, are running him in this op. His documents won’t yield the longed-for holy grail, though Snowden implies he could unwrap it. I’m talking about the entire interlocking system of US and global surveillance and how it isbuilt. The uncle of the two suspected Boston bombers in last week’s attack, Ruslan Tsarni, was married to the daughter of former top CIA official Graham Fuller . Ruslan Tsarni married the daughter of former top CIA official Graham Fuller, who spent 20 years as operations officer in Turkey, Lebanon, Saudi Arabia, Yemen, Afghanistan, and Hong Kong. In 1982 Fuller was appointed the National Intelligence Officer for Near East and South Asia at the CIA, and in 1986, under Ronald Reagan, he became the Vice-Chairman of the National Intelligence Council, with overall responsibility for national level strategic forecasting. 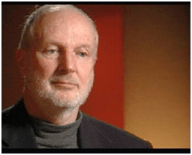 On a more ominous note, Graham Fuller was listed as one of the American Deep State rogues on Sibel Edmonds’ State Secrets Privilege Gallery,. Edmonds explained it featured subjects of FBI investigations she became aware of during her time as an FBI translator. Criminal activities were being protected by claims of State Secrets, she asserted. After Attorney General John Ashcroft went all the way to the Supreme Court to muzzle her under a little-used doctrine of State Secrets, she put up twenty-one photos, with no names. One of them was Graham Fuller. After years of investigating him the FBI and the Department of Homeland Security, due to his guardian angels in the State Department and the CIA, are prevented from bringing an indictment against him, so they try to kick him out of the US. But once again Gulen’s CIA angels step in and portray Gulen as a scholar, despite the fact that Fethullah Gulen doesn’t even have a high-school diploma and never went beyond the 5th grade. Among his angels who vouched for him were Graham Fuller, George Fidas, and Morton Abramowitz. You can check out our latest updates on this case here, here and here. Let’s watch and observe the coverage, or lack of, pertaining to CIA’s Graham Fuller and his three-decade long connections to CIA-Made terror in the Caucasus and Central Asia. I suspect we will not be seeing any coverage with substance. You will not find a single media outlet in the United States that would dare expose what I exposed several years ago on Graham Fuller’s major role in my State Secrets Privilege Case, in black operations in the Caucasus and Central Asia, and in the propping and handling of infamous Islamic Imam Fethullah Gulen and his $20+ Billion Dollar network of NGO’s in the US. FBI & CIA now admit to putting Boston bombing suspect on 2 “watch lists,” directly contradicting previous public statements. CIA most likely sponsored suspect’s trips to meet US-backed terrorists in Chechnya, Russia. The suspects, Tamerlan Tsarnaev and brother Dzhokar Tsarnaev, would be revealed to the public by the FBI a day after a bizarre press conference cancellation and a security scare at the federal courthouse where a suspect was allegedly being brought. The FBI would feign ignorance over the suspects’ identity, appealing to the witless public for help identifying and apprehending them. It would be claimed by the suspects’ family members that the FBI had long been in contact with Tamerlan Tsarnaev, and that the bombing was a set-up. However, the case was not “closed.” Additional evidence would reveal that the FBI had been warned again, just 6 months before the Boston bombings by Russian investigators. The FBI was told Tamerlan Tsarnaev had visited Russia and was in contact with known-terrorists operating in and around Chechnya. Somehow, this additional information “escaped” the FBI’s April 19, 2013 public statement. Despite being told in 2011 that an F.B.I. review had found that a man who went on to become one of the suspects in the Boston Marathon bombings had no ties to extremists, the Russian government asked the Central Intelligence Agency six months later for whatever information it had on him, American officials said Wednesday. After its review, the C.I.A. also told the Russian intelligence service that it had no suspicious information on the man, Tamerlan Tsarnaev, who was killed in a shootout with the police early last Friday. It is not clear what prompted the Russians to make the request of the C.I.A. The upshot of the American inquiries into Mr. Tsarnaev’s background was that even though he was found to have no connections to extremist groups, his name was entered into two different United States government watch lists in late 2011 that were designed to alert the authorities if he traveled overseas. Therefore, in addition to first denying, then confirming having interviewed Tamerlan Tsarnaev in 2011 and never mentioning the now confirmed warning by Russia just 6 months ago, the FBI and CIA also put Tsarnaev on at least 2 terrorist watch lists. Inexplicably, the FBI would have the public believe they found no evidence of terrorist activity, but then put Tsarnaev’s name on 2 separate terrorist watch lists anyway – and still somehow failed to prevent the Boston bombings. Clearly, that doesn’t add up. 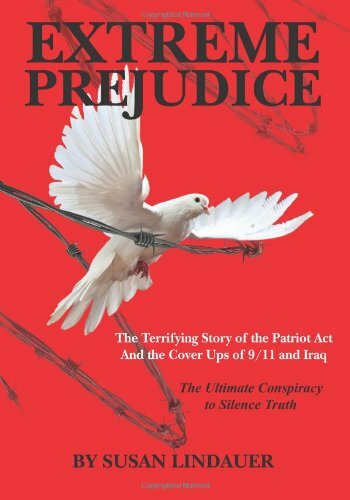 While the establishment media predictably attempts to make the serial lies told by the FBI, and both FBI and CIA’s involvement and foreknowledge of the suspects years before the Boston attacks, appear to be just an innocent bureaucratic foul-up, former-FBI translator Sibel Edmonds reported in incredible detail what most likely transpired, even before revelations of the CIA’s involvement became public. In a 45 minute interview on the Corbett Report, Edmonds explained that multiple warnings by Russian investigators to the FBI were likely ignored because the CIA was in all probability using Tamerlan Tsarnaev as an asset to travel to Russia’s Caucasus region and make contact with US-backed terrorists. It is a long-documented fact that the United States has extensively backed terrorists operating in Russia’s Caucasus region. It is clear that at the very least, the FBI, CIA, Department of Homeland Security (DHS), and other federal agencies knew well ahead of time of Boston Marathon bombing suspect, Tamerlan Tsarnaev, and did nothing to prevent him from allegedly carrying out an attack. Understanding the insidious behavior of both the FBI and CIA, opens up a second and more troubling possibility – that the FBI and/or the CIA were directly involved in the Boston bombings themselves, using the Tsarnaev brothers as patsies. Regardless of which is true – there is more than enough evidence currently to remove the FBI from the Boston bombing investigation and open an immediate and urgent inquiry into both the FBI and CIA’s involvement and criminal improprieties in the lead up to the attacks. There is also enough evidence for the American people to realize they have exchanged for the past decade, their liberty and dignity for safety and clearly have been left none of the above. It is also now clear that the American people possess the moral imperative to seize back their liberties and to throw off this expansive, ineffectual, stifling, incompetent and/or criminal federal security apparatus – from the DHS and TSA, to the FBI and CIA – who despite receiving billions annually and nearly limitless authority failed utterly to prevent the Boston Marathon bombings, and in fact appear to have played a central role in facilitating them.